With regular care and maintenance, your Altus products will provide years of superior performance and satisfaction. 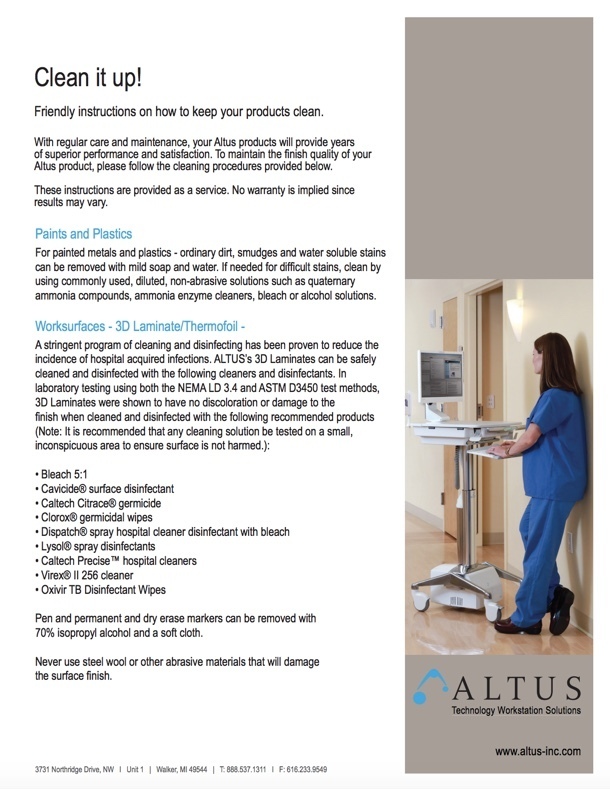 To maintain the finish quality of your Altus product, please follow the cleaning procedures provided below. These instructions are provided as a service. We want our customers to have confidence when they choose us. Thus, we've created a cleaning and care guide, our instructions to prolonging your workstation life. Download for a thorough guide on external and internal cleaning of your workstation.